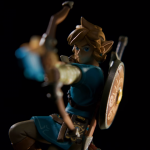 Also, the Wolf Link amiibo’s functionality as been revealed! When scanned in, Wolf Link will appear in game and aid the player in both fighting enemies and hunting. Should the player become separated from the wolf, they need only need whistle to call him back. 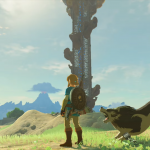 Wolf Link has a default of three hearts, but should the amiibo possess the save data from Twilight Princess HD, it will have the same number of hearts as the saved file, and will follow the player until those hearts are depleted. After Wolf Link dies, he may be scanned again only after a full day in real life time.